Claudio Chiappucci (born 28 February 1963 in Uboldo, Varese, Lombardy) is a retired Italian professional cyclist. He was on the podium three times in the Tour de France general classification — second in 1990, third in 1991 and second again in 1992. After a quiet start to his career he burst onto the scene in the 1990 Tour de France. Chiappucci found himself almost casually wearing the yellow jersey after a stage one attack which the favourites allowed him to arrive with a 10-minute time advantage. In subsequent stages he resisted the return of Greg LeMond, only losing the lead of the race in stage 20, the final time trial. In the end, LeMond won the Tour by 2' 16", Chiappucci came home with a surprising second place and, moreover, the status of a cycling star. He was the first Italian cyclist to arrive on the podium at the Tour since Felice Gimondi in 1972. This first successful campaign highlighted Chiappucci's main weakness, the time trial. Although vowing to return the following year as a better racer against the clock, Chiappucci never was able to master this discipline. The year of 1991 confirmed to the cycling community that Chiappucci was able to perform consistently. Beginning with a win in the opening classic of the season, the Milan San-Remo, Chiappucci rode the Giro d'Italia and the Tour of France. However, Chiappucci declined quickly. After riding a solid Giro it looked like his 1993 Tour de France was to be a big showdown with Miguel Indurain. But from the first mountain stage Chiappucci was obviously struggling. Although he had a revival later on in the race, Chiappucci finished sixth overall. He won the Clásica de San Sebastián a few weeks after the Tour de France, but this marked the end of his major results. His level of performance declined sharply from around 1994/1995, and he retired in 1998 after having been found guilty of doping several times in 1997. His most famous victory was stage 13 of the 1992 Tour de France, when he attacked on the first climb of the day, 245 km from the finish, and arrived in Sestriere after holding off a thrilling chase by Miguel Indurain and Gianni Bugno. 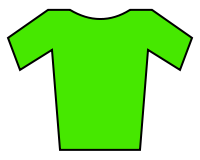 On that occasion, Chiappucci was first and alone on top of all five main climbs, of which 3 were "première catégorie" and 1 "hors catégorie". He had wanted to replicate the same accomplishment as Fausto Coppi exactly 40 years earlier. Among the awards received by Chiappucci is a silver medal earned in 1994 at the World Cycling Championship in Sicily. Not gifted with an exceptional physique, Chiappucci was distinguished by a gritty, combative style, always ready to attack; he did not hold back in the face of any climb or time trial. Claudio Chiappucci used the services of doctor Francesco Conconi, who is accused of applying EPO to cyclists. Conconi was found 'morally guilty', but not convicted, because the statute of limitations had expired. The judge had looked at medical reports of 33 cyclists in the period 1993-1995, including Chiappucci's, and all blood tests showed largely fluctuating hematocrit-values, indicative for EPO-use. In 1997, Claudio Chiappucci told prosecutor Vincenzo Scolastico that he had been using EPO since 1993, but later he retracted that statement. ↑ "Memoire du Cyclisme". Archived from the original on August 26, 2012. Retrieved July 21, 2012. ↑ "Doping affairs in cycling from 1980-1998". Archived from the original on September 28, 2007. Retrieved June 26, 2007. ↑ "Conconi wird wegen Epo-Dopings der Prozess gemacht" (in German). Archived from the original on November 8, 2005. Retrieved June 26, 2007. ↑ "Conconi vrijgesproken na proces van vijf jaar" [Conconi is acquitted after five years of trial] (in Dutch). Retrieved June 26, 2007. ↑ "Vrijgesproken Conconi moreel veroordeeld door Italiaanse gerecht" (in Dutch). March 11, 2004. Archived from the original on September 27, 2007. Retrieved June 26, 2007.